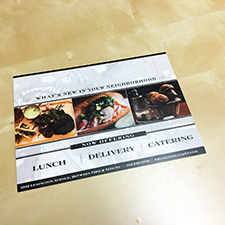 The United States Postal Service has introduced a new service called EDDM – Every Door Direct Mail – an inexpensive way to reach a concentrated audience at a very low cost. Find the customers who matter most. EDDM is designed to reach every home and every address in the exact area that you choose. You can choose a different area every week if you want. 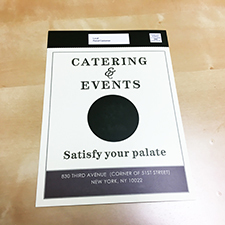 By using the USPS website you can choose the exact area(s) you would like to have your marketing piece delivered. It will be delivered by the local postman along with the regular mail. 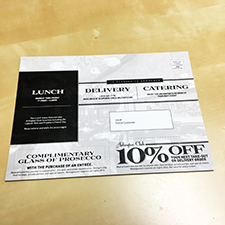 Classic will design, format and print your mailing piece to meet postal regulations. We will also guide you through the USPS website to help make the process as easy as possible. No stamps – No postage machine. This service is especially useful for restaurants and retail stores that want to concentrate in their own neighborhoods. Select the specific postal routes you want to reach.